Talula (left), Kimi Raikkonen at the Monaco Grand Prix (right). A woman who accused Formula One driver Kimi Raikkonen and a member of his entourage of sexually assaulting her at a bar during Montreal’s 2015 Grand Prix weekend is now the subject of a police complaint from Raikkonen claiming harassment and extortion, according to reports. 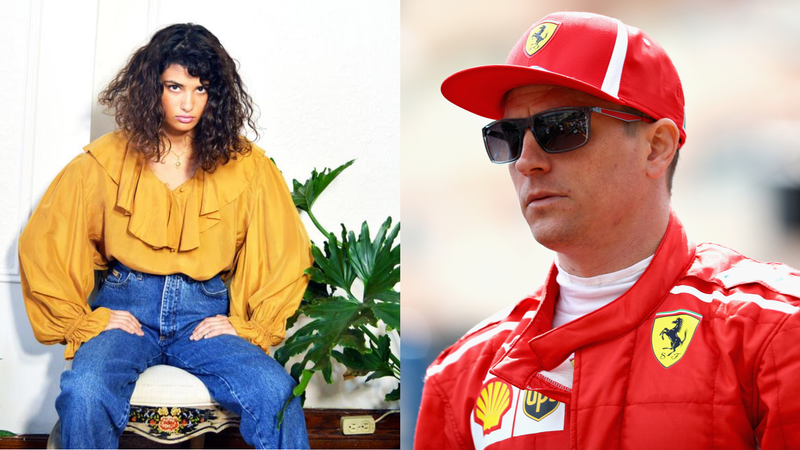 But the woman who made the allegations on her personal blog told Jalopnik her goal was to sit down and talk about the alleged assault with Raikkonen, and that she was “disgusted” with his apparent retaliation. In a 2016 blog post, the woman—who requested that Jalopnik only identify her by Talula, one of her middle names that she goes by professionally—wrote that she was a bottle waitress at a Montreal bar in 2015 when Raikkonen and a man with him allegedly sexually assaulted her in the early morning hours after the Canadian Grand Prix. She did not name Raikkonen in the blog or in another blog from earlier this year, which have both since been made private on her site on the advice of her lawyers, she said. The allegations against Raikkonen were first widely publicized last week, after reports in Finnish and Canadian outlets said Raikkonen filed a criminal complaint of extortion and harassment against Talula with Montreal police. Montreal police have not responded to Jalopnik’s repeated requests for the complaint by Raikkonen, which details allegations from his camp. The department’s request form says, however, that if the requestor is “other than the plaintiff or victim, a written consent of the person concerned is required” to share the report. Talula did not specify the alleged behavior of the other person she claims to have touched her. She published another post in February of this year, saying she hadn’t used the driver’s name in her blog two years earlier because she didn’t want to “cause [him] any harm.” The end of the post said she was “done protecting [him],” and that his “team had been notified” of that. “Ferrari’s policies prohibit any form of discrimination, harassment, or unfair treatment,” the statement read. “When allegations of these sorts are raised with the Company, we investigate them thoroughly and, if proven to be true, take prompt and appropriate action. One of Talula’s lawyers, Ryan Eichler, said in a telephone interview that she came to their firm earlier this year for legal advising on her allegations. Eichler said after having discussions with Talula, his team tried “to handle the matter amicably and confidentially” with Raikkonen’s representatives. Raikkonen’s complaint was filed last Monday and he’s being represented by a Montreal law firm, according to British Columbia newspaper Coast Mountain News. The newspaper said a member of Raikkonen’s legal team who asked not to be identified said Raikkonen denies the allegations in Talula’s post, and that he claims to not know her or to have touched her. “What we were looking for was an opportunity to sit down, what we were looking for was an opportunity to come to terms with what had happened to my client,” Benizri said. Raikkonen’s representative claimed the demands in April and earlier this month were “aggressive” with a threat to go public. A source with knowledge on the matter told Jalopnik despite the “extremely high” comment and at least two reports saying the monetary demand was for seven figures, it was not. Talula also confirmed to Jalopnik that there was a compensation request for “pain and suffering,” but that her main goal was to open a dialogue with Raikkonen about the alleged assault, she said. The Formula 1 driver Kimi Räikkönen has filed a criminal report about blackmail directed at him. According to information received by MTV News (MTV Uutiset), the criminal report was filed on Monday in Montreal, Canada. - We have a situation in Montreal. This has been a long process, but now a criminal report has been filed, Sami Visa, Kimi Räikkönen’s affairs manager, tells MTV. At this stage, Visa does not want to comment in any further detail on how Räikkönen has been blackmailed. Talula told Jalopnik she never intended to go public with her allegations about Raikkonen, because she knew there would be a “media circus” around it and that’s not what she’s used to dealing with. “I [also] knew that he had a family and a wife, and he has this massive career, and I thought that it would be maybe more respectful and peaceful for both parties to kind of deal with this internally and deal with this between our lawyers—get an apology,” Talula said. Eichler echoed that in a separate interview, and said his team thought it was “absolutely” possible to keep the situation from going public. That was their intention from the start, he said. Eichler also said the only hard ask they had was the meeting between Talula and Raikkonen. But it did go public, and Talula told Jalopnik she figured that happened with the police complaint from Raikkonen and the public accessibility to it. Jalopnik has still not been able access the complaint, or even see a database listing showing that it exists—the only confirmation that there is police involvement has been from Ferrari’s F1 team. Montreal police have up to 20 to 30 days to give an answer to requests for copies of documents like this one, according to the department website, and Raikkonen apparently filed last week. Talula claimed in the blog that the alleged assault happened when she came back to the table and the group “seemed amused [she] had returned.” She wrote that she went to her manager, and he asked what she wanted to do. What she could do “flashed before [her] eyes,” she wrote, but it seemed hopeless. Talula also told Jalopnik she’s seen how these kind of allegations often go down, and that she knew her character would be judged. “That being said, people need to take a step back and look at it from the victim’s point of view right now,” Eichler said. “This whole movement that’s been going on right now with regard to sexual aggressors being brought to the public by their victims really gave her that courage to speak up. Talula’s blog post from February said she did not consent to being allegedly touched and that she showed her non-interest in the driver and his friend, but that she felt like no one would believe a bottle waitress’ allegations. It “really hit [her]” when she tried on a revealing dress for a waitressing shift at a New Year’s Eve party and changed, she wrote, out of fear someone may touch her. I’m done protecting you. [...] And now I’m coming for you. The Canadian Grand Prix is the next race on the F1 schedule. Raikkonen, who is fifth in the points standings, will be back at Circuit Gilles Villeneuve in Montreal this weekend.